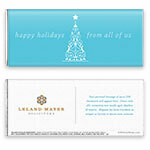 Spread the joy of the season with this simple, timeless wrapper design. Design: Ornamental holiday tree with a white star. 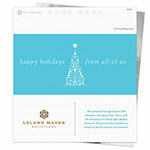 Personalization: Front message, logo and message on the back.